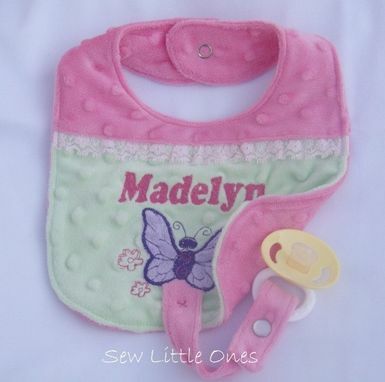 How adorable is this bib? Perfect gift for new moms! 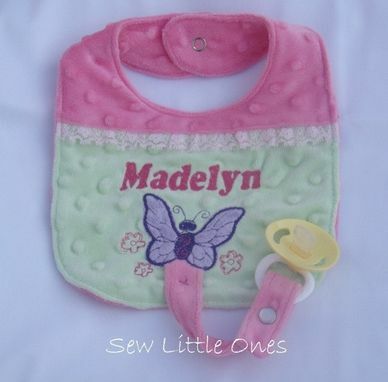 This gorgeous bib was handmade using an appliqué image on minky fabric. 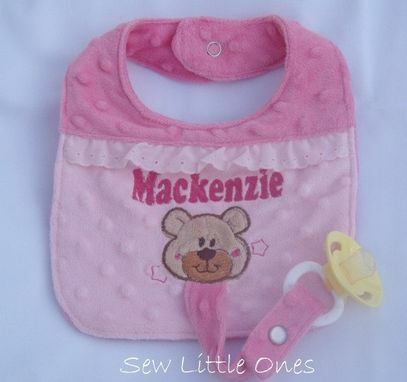 It includes a pacifier attachment directly to bib. 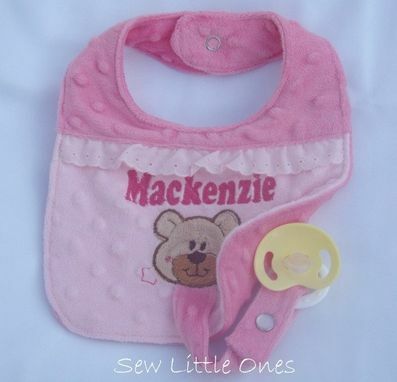 With this there's no more dirty or lost pacifier. Easily detaches to allow proper sanitizing. Top stitched and snap closure for added durability. 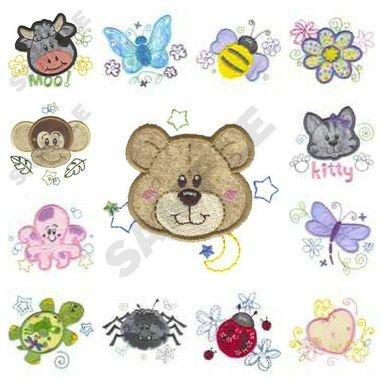 Bib measures 11" x 8.5"
Convo if you would rather another character or different color scheme. Check out other character choices with photo included.